Nestled into a compact downtown, filled with state-of-the-art amenities and fresh from holding the Super Bowl just 14 months ago, U.S. Bank Stadium fits the bill. The not-quite-3-year-old facility’s defining feature, though, created an additional challenge for the host. The skyline-facing front of the building is essentially one big picture window, including five of the world’s largest pivoting glass doors ranging from 75 to 95 feet high. Then there’s the roof, about 60% of which was composed of a lightweight translucent plastic called ETFE . 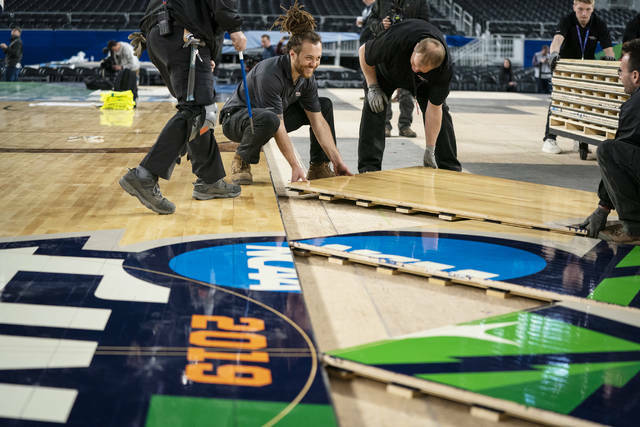 To keep the glare off the TV cameras and out of the eyes of the free-throw shooters, a darkening plan is mandated for each bidding venue. There’s no issue for many of them, but at U.S. Bank Stadium, this sleek, steep, and ship-shaped $1.1 billion home of the Minnesota Vikings, there’s 460,000 square feet to cover. The cost of the blinds and the altering of the building’s identity have prompted some complaints from the public, but they’ll be reused for concerts and conventions and are expected to last for the life of the stadium, MSFA chairman Michael Vekich said. 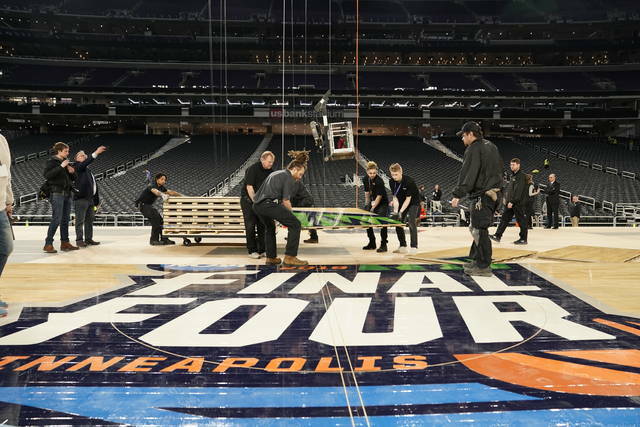 For now, the fabric will help transform this colossal structure into an environment as close to an on-campus arena as possible, if that’s possible for an event that has averaged about 72,800 fans in attendance over the last 10 years. 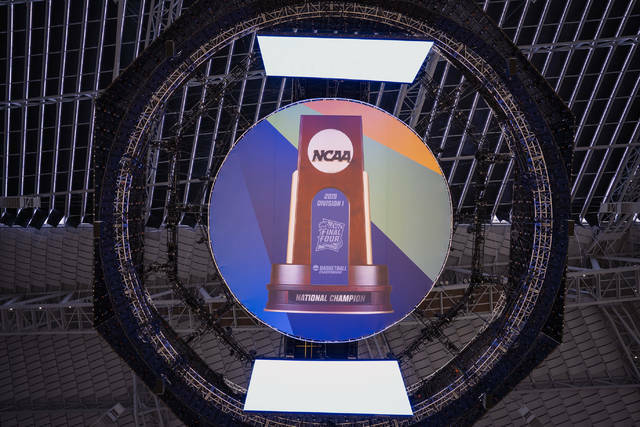 Putting 600 students from each school in $40 floor seats behind each basket was one way the NCAA has tried to increase the energy, along with subtly amplified noise for seats that are the farthest from the court so the swishes, clangs and squeaks can still be audible.